After two knee surgeries, a year and a half walking with a cane, a fantastic physical therapist, countless hours of aqua arthritis classes, exercises, leg presses, pedaling the stationary bike today I saw and felt a breakthrough. Two years ago, even one year ago I wouldn’t have believed I could ever again skip across the slick rock of canyon country, walk more than two miles in pursuit of memorable pictures, be confident of maintaining my balance on the uneven trails – simply be free and able to roam. 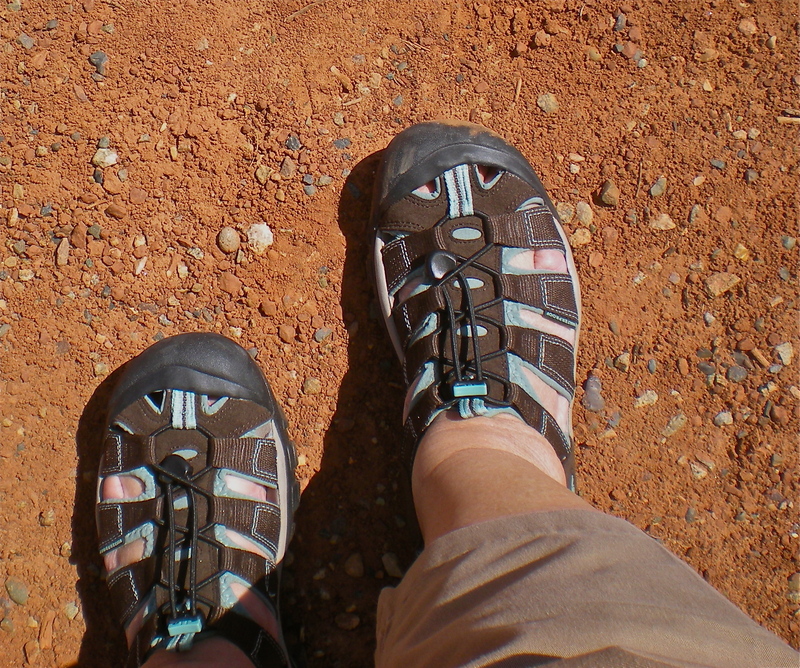 To be sure some of the credit goes to my new Keen trail walkers and the sure-footedness they provide. And I’ll share credit with a great surgeon, therapist and fitness instructors. I know that my determination to do the work required for rehab and strengthening was an important key to success. I’m going to lump it all together as “Magic Shoes”. After todays adventures I feel ten years younger, hopeful, blessed and thankful.